After nearly six years of demanding an apology from the United Nations for causing a deadly cholera epidemic in Haiti, Haitian cholera victims and their advocates were pleasantly surprised by receiving on from the Secretary-General on December 1. In a statement before the UN, Secretary-General Ban Ki-moon apologized and also outlined a $400 million proposal to fight cholera and compensate the victims. Although Ban did not directly apologize for the UN’s own fault in the epidemic, advocates view this as a welcome start. Now the work truly begins, as “we need to fight even harder to get those promises fulfilled,” says IJDH Executive Director Brian Concannon. Yet many seemed almost shocked on Thursday by U.N. Secretary-General Ban Ki-moon’s apology for the U.N.’s role in the outbreak. Shocked — and pleased. Activists who have screamed on social media, protested in the streets and filed legal claims against the U.N. over the issue welcomed the secretary-general’s new plan to address cholera in the deeply impoverished Caribbean nation: a proposal to pour $400 million into Haiti to fight cholera and compensate victims of the attack. Others were optimistic. “The U.N.’s promises are promising,” says Brian Concannon, the head of the Institute for Justice and Democracy in Haiti, a harsh critic of the U.N. on this issue and one of the leaders of the legal campaign to try to force the U.N. to pay reparations to victims of the outbreak. “On behalf of the United Nations, I want to say very clearly: We apologize to the Haitian people,” the secretary-general said. Concannon, in a conference call with supporters of what his organization calls the “cholera justice movement,” welcomed the apology and the proposed new funding. “But we need to fight even harder to get those promises fulfilled,” he added. 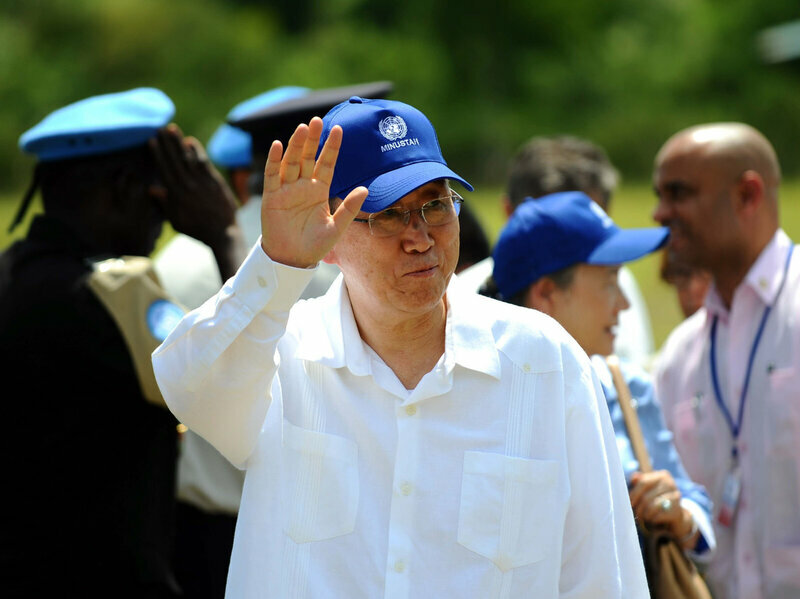 Even though the U.N. still has not acknowledged that it was involved in bringing the deadly disease to Haiti, activists were appreciative of Ban ki-Moon’s words.